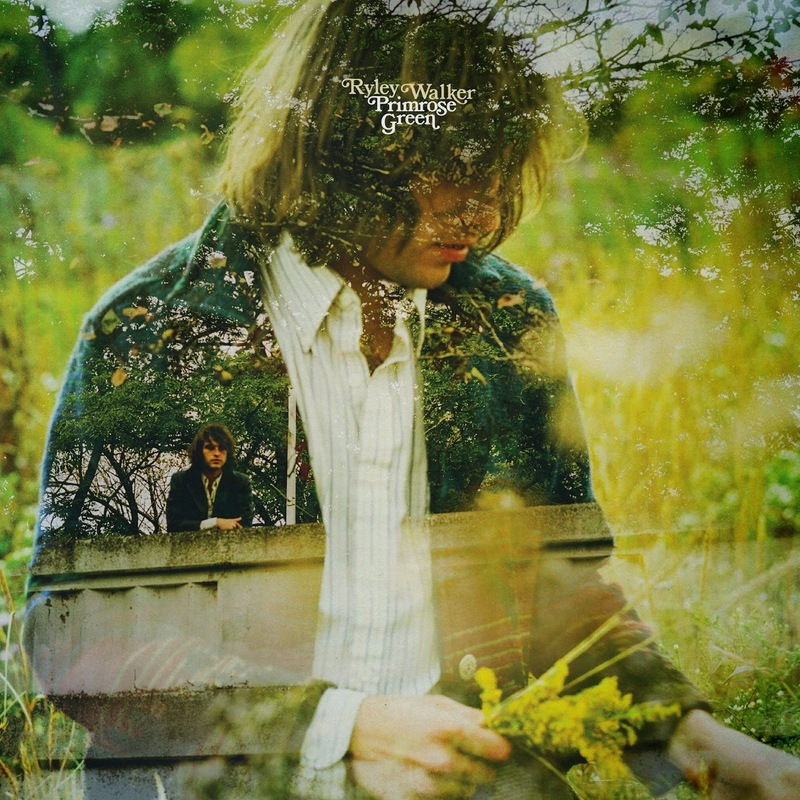 Primrose Green is Ryley Walker's second album. It's a record full of contradiction. In parts its inability to stand still, stay in one place for more than a few seconds make it a difficult listen and will turn some people off it unless you stick with it and in others, the simple beauty of a guitar and voice make it chillingly intimate. The title track opens up the record and doesn't give much indication at first of what's to come. A song about a cocktail of whiskey and morning glory seeds and its effect starts off quite politely as if luring the listener into his web. It's not until the second track Summer Dress and Same Minds which follows it that things start to take a turn for the darker, the record takes you down into a claustrophobic smoky basement blues bar where Walker's beaten and bruised vocals a perfect compliment to the compelling finger-plucking guitar style. Yet at times, there's no need for words - the instrumental Griffith Buck's Blues and the first half of the subsequent Love Can Be Cruel create the mood and atmosphere without saying anything. On The Banks Of The Old Kishwaukee takes us temporarily back into more traditional jazz and Americana sounds, into singer-songwriter territory rather than the feeling that this is more free-form than written. A lot of Primrose Green feels instinctive, as if created there and then, the six minutes plus of the subsequent Sweet Satisfaction has so many different ideas popping in, drifting out to be replaced by another, it shouldn't work, but it's testament to the Walker's sonic awareness and instinct that it doesn't fall apart spectacularly. That it's managed to be distilled down to songs is an achievement in itself. Whilst the floating violin and simple finger-picked guitar in The High Road hint at a more conventional songwriting process, All Kinds Of You and album closer Hide In The Roses feel like they could be the product of late night improvised session, such is the raw intensity of both tracks. Primrose Green is the work of a nascent genius with a head full of ideas. If you're prepared to give it time, it's one of the most exceptionally rewarding albums that you'll have the pleasure of listening to this year. Ryley Walker's website can be found here. He is also on Facebook and Twitter.